Social dialogue towards ratification of ILO Core Conventions 87 (freedom of association) and 98 (collective bargaining) in the Republic of Korea appears to be moving in the direction of actually weakening fundamental labour rights. In Nepal, JHL, Tehy, SASK (the Finnish Trade Union Solidarity Centre) and PSI are involved in a development project aimed at attracting volunteer workers into paid public health care. 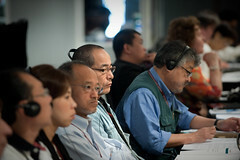 Many unions and civil society groups fighting the Trans Pacific Partnership and the Fast Track process of this terrible free trade deal have been frustrated by the lack of mainstream media coverage, especially in America. The media's conspiracy of silence makes it hard to mobilize our members against the TPP and Fast Track because they aren't hearing anything about it. Since June, the South Korean government has been pushing forward a new rail restructuring and privatisation programme despite widespread opposition. Faced with the government and Korea Railroad Corporation's (KORAIL's) flat out rejection of social dialogue, the Korean Railway Workers' Union (KRWU), an ITF affiliate, has been on strike since 9 December. KRWU is also a member of the KCTU-Korean Federation of Public Services and Transportation Workers' Unions (KPTU), a PSI affiliate. PSI is calling on all its affiliate members, men and women, to make a pledge to end violence against women and girls, at each of their workplaces around the globe. PSI urges all trade unionists to call on your UN Member States and Foreign Ministers and UN Secretary-General Ban Ki-moon to respect the rights of workers and immediately resume bargaining. Members of the PSI Steering Committee have expressed their solidarity and deepest condolences to all people in the Philippines in the devastating wake of Typhoon Haiyan. KPTU-EdSol, the Korean trade union that organises education support workers, would like to receive solidarity statements and photos of education support members from PSI affiliates around the world, in time for their strike on 15 November. 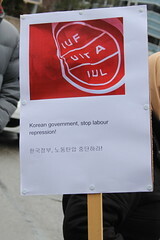 PSI calls on all its members to request the authorities of South Korea to recognize the Korean Government Employees' Union (KGEU), to refrain from cancelling the registration of the Korean Teachers' and Education Workers' Union (KTU) and to amend its legislation in line with ILO recommendations. Non-Standard Work in the Healthcare Sector in South Asia is a series of publications aimed at disseminating information on the challenges facing the health workforce in the region, both in the public and private sector. Overall, we hope that the booklets published under the series will provide a window into the issues of interest of Public Services International, South Asia and areas of possible collaboration with existing and future allies in the struggle for Health for All with Decent Work around the world. A better Future with Public Health for All: PSI's global campaign for the Human Right to Health aims at building a mass global movement that could influence concrete policies towards attaining Universal Public Health Coverage (UPHC). Member states at the annual Sessions of the UN Commission on the Status of Women (UNCSW) are currently negotiating ‘Agreed Conclusions’ on this year’s priority theme: ‘Women’s economic empowerment in the changing world of work’. What are recruitment fees and why should they be scrapped? Join PSIs' campaign for fair and ethical recruitment. www.world-psi.org/NRF -- #NoRecruitmentFees. PSI has commissioned a new briefing entitled “The Future of Health: Person Centred Care in Policy and Practice”, by Kate Baylis, SOAS, University of London. The banners "A better future with public health for all" - size 700x430 and size 800x800 - are available for download in English, French and Spanish (jpg format). The posters "A better future with public health for all" are available for download in English, French and Spanish. 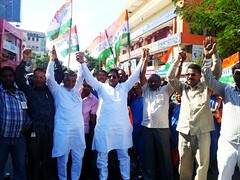 Trade unions are struggling to end violence at the workplace and in society. In all countries, we need a strong commitment from governments to address the deeply rooted causes of violence against women: inequality and discrimination. Download PSI's posters for International Day for the Elimination of Violence against Women. The 10 key points on the following pages represent PSI’s priorities for a New Urban Agenda encompassing decent work for city workers – including public workers - universal access and adequate public investment in essential public services, such as water and sanitation, energy, health care, transportation, education, social housing, public space etc. "Four Ways to Tackle International Tax Competition" was launched on 15 November in Brussels by the Independent Commission for the Reform of International Corporate Taxation (ICRICT). The 2016 Memorandum of Undertaking (MoU) was negotiated and concluded between PSI affiliate PSILINK and the local government of Bislig city, Surigao del Sur, Mindanao, the Philippines. This paper was commissioned by PSI to inform a meeting of the PSI Local and Regional Government Committee held on 19 September 2016 in Brussels. The purpose of the paper is to provide an overview of issues which affect local and regional governments (LRGs). During the People’s Forum on BRICS on 13-14 October, PSI is co-organising a workshop called “Smart cities and challenges of urbanisation” together with Peoples Front against IFIs, NHF and NAPM. PSI’s affiliated union representatives will be intervening in the workshop that will be held in Goa, India. The PSI Project on Decent Work and Social Protection for Migrant Workers in the Public Services, is a three-year project (2014-2016) which aims to promote access to decent work and social protection for migrant workers in the public services. This conference will launch key campaigns of the project, culminate the work over the last three years, and pave the way to the future work of the PSI on migration and refugee issues. The Rosa Luxemburg Stiftung is organising a Conference on Free Trade and the Right to (Not) Migrate on 29 September – 1 October in Brussels. PSI Migration Programme Coordinator, Genevieve Gencianos, is speaking in a panel on “Lessons for the future: 21st Trade Agenda, TTIP and Migration” on 30 September between 16h30 and 19h. This event "How unpaid internships undermine human rights", taking place in Geneva on 27 September, is co-organized by the Fair Internship Initiative (FII), Public Services International and the "We Pay Our Interns" coalition representatives. 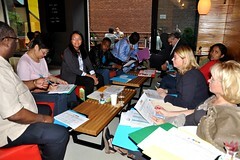 On the sidelines of the Human Rights Council, Unions, NGOs and youth activists come together to highlight the urgent need for international organisations and governments to tackle the issue of unpaid internships, both in the wider economy and within their own halls. The healthcare sector in South Asian countries has seen significant restructuring with an increase in private sector participation in provisioning. The discussion will explore the linkages between neoliberal reforms and informalisation of employment; explore the trends in employment patterns in Nepal, India and Sri Lanka; as well as look into some of the trade union responses to this growing phenomenon. The Tripartite Meeting of Experts to Develop Guidance on Fair Recruitment is being held at the ILO in Geneva on 5-7 September. The objective is to adopt ILO guidelines on fair recruitment, encompassing both cross-border and national recruitment. PSI Migration Programme Coordinator, Genevieve Gencianos, delivered a speech on 5 September at the opening session of the meeting. The Philippines Project Monitoring and Stakeholder Meetings within the PSI’s Decent Work and Social Protection for Migrant Workers in the Public Services Project will bring together PSI affiliates in the Philippines, Germany and Finland, other trade union partners, government agencies, policy makers, ethical recruiters, civil society organizations and migrant associations in order to tackle the challenges to decent work and social protection for migrant workers. Sanya Reid Smith - Third World Network, Guest speaker at PSI's Executive Board meeting in Nyon, Switzerland 24-25 June 2014. A report by C. Marie Ainsborough, Senior Labour Reporter with Radio Labour, reports on the preparations for the global day of action on 28th April in protest of the TISA negotiations. See our web page for more information. To achieve gender equality and empower women around the world, leaders are increasingly looking to history's pioneers of progress and social inclusion: Labor Unions. PSI staff members joined by other Global Union staff members in Geneva demonstrate in front of the Korean mission - 17 January 2014. There are 232 million migrants in the world. Many are living and working in horrible conditions. A special RadioLabour report on migrant workers and their families. The report features interviews with two international labour movement activists: Chidi King of the International Trade Union Confederation (ITUC) and Genevieve Gencianos of Public Services International (PSI). PSI affiliates in Singapore held an event on 23rd November on Ending Violence against Women and invited the Speaker of the Parliament as the guest speaker, Mdm. 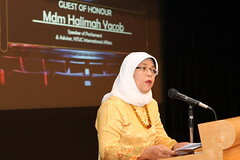 Halimah Yacob. Together they said violence against women is an age-old problem – it is time to end it now! 49 trade unionists, members of PSI affiliate Korean Government Employees’ Union (KGEU), were arrested Monday 20 May, for holding a sit-in in front of the Ministry of Security and Public Administration. PSI General Secretary, Rosa Pavanelli, sends a message of solidarity and support to KGEU, PSI affiliate in South Korea.